Mention Gibraltar and Spanish pride will take over from their common sense. 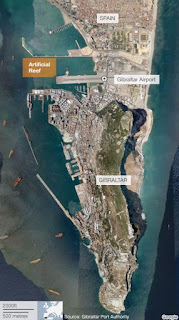 Gibraltar is located on the southern tip of the Iberian Peninsula and measures just 6.7 square kilometers. It was captured by the British in 1704 during the War of the Spanish Succession (1701–1714). The Spanish Crown formally ceded the territory 'in perpetuity' to the British Crown in 1713, under the Treaty of Utrecht. Spain later unsuccessfully attempted to recapture the territory, but reclamation of Gibraltar remains government policy ever since. 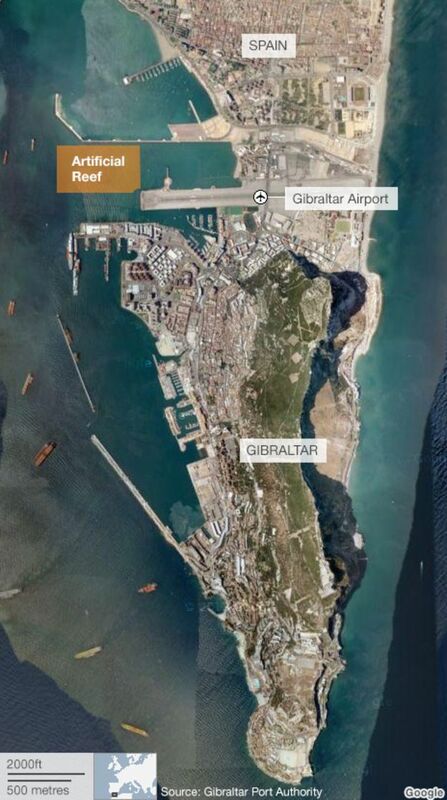 The Spanish government also refuses to acknowledge Gibraltar's territorial waters or its airport which is built partly on reclaimed land and on the isthmus, claiming that these were not explicitly covered by the treaty. So, the Spanish lay claim to Gibraltar, but they conveniently forget that they still occupy a territory that it has held illegally for 211 years: the towns of Olivença and Talega (Olivenza and Táliga in Spanish). This border town was Portuguese from 1297 to 1801, when the Spanish army, along with French troops, invaded. The Treaty of Vienna of 1815 returned Olivença and Talega, its outlying villages and a tranche of land near the Guadiana River to Portugal, but Spanish forces never left. They even outlawed the Portuguese language and prevented a bridge linking it to Portugal to be rebuilt until this day. Spain’s refusal to return the town and surrounding countryside (750 square kilometers and home to some 11,000 people) is very reminiscent of the situation of Gibraltar. If Spain ever wants Gibraltar back, then it should first consider ceding Olivença and Talega to Portugal and honour its obligations under the Treaty of Vienna of 1815.